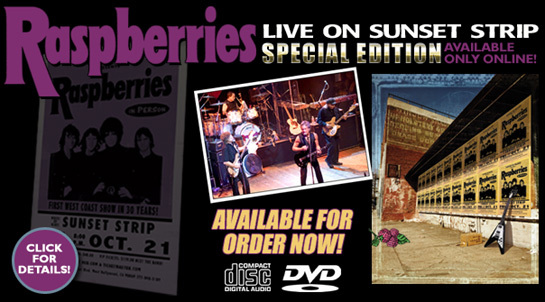 Live On Sunset Strip Special Edition CD/DVD Set, 2 NEW recordings, "Substitute" and "No Reply". Click here for ordering details! Special Edition: Includes many extras NOT available on the retail version, including all 21 songs on DVD! ►Click here for details! Retail Version: Deluxe 2-CD Package with bonus live 5 song DVD is available at most major online music retailers such as Amazon, Borders and CD Universe. Boxer (Jim Bonfanti's side project) t-shirts are now available in the store! Combo of t-shirt and Boxer CD also available! Limited Edition Japanese "Mini Vinyl" CDs! Check out three fresh live tracks available now for the first time! Recently recorded live at the House Of Blues Sunset Strip on November 30, 2007, these three tracks are now exclusively available through the Live Nation TV website. Live Nation, the country’s largest concert promoter, recorded the show and is offering these three tracks online now. Check out this interview with Raspberries drummer, Jim Bonfanti, as he discusses his choice of Evans drum heads. 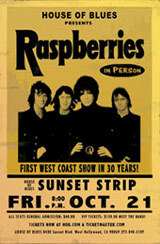 Raspberries - Live On Sunset Strip! 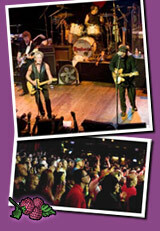 Eric Carmen/ Raspberries fans were treated to a super surprise at the annual "Weekend At Bernie's" fan gathering! The event, held ironically on Eric's birthday this year and hosted by Bernie Hogya from ericcarmen.com, featured a surprise, unannounced visit from none other than Eric Carmen and Jim Bonfanti! 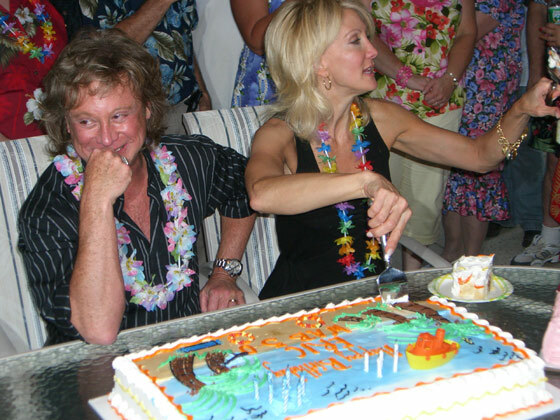 Pictured are Eric and his wife, Susie slicing the giant birthday cake!! Click thumbnail for larger image. 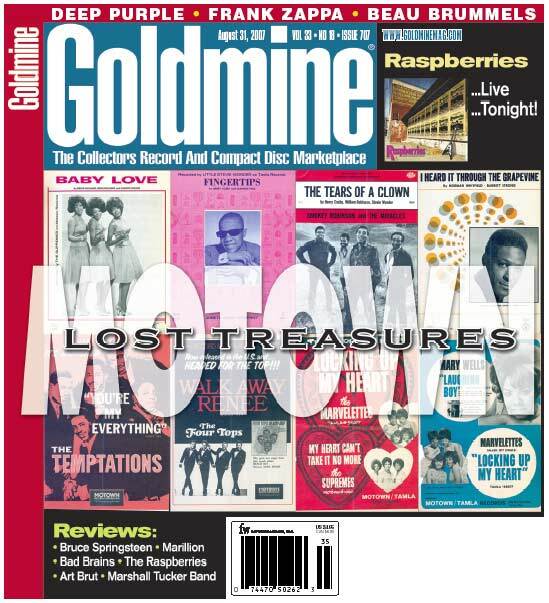 Check out Raspberries on the cover GOLDMINE Magazine cover! Jim and Eric stopped in to sit down with Michael Stanley at WNCX-FM to talk about the new release and all things Raspberries. ►Click here all to listen to the audio! to witness recent concerts by these icons of power pop. 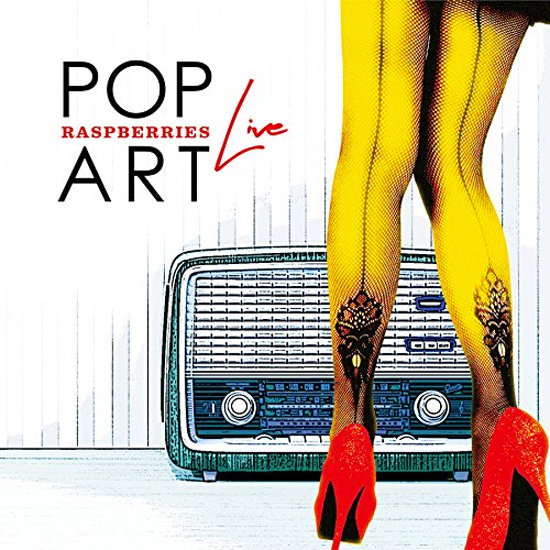 After more than 31 years, Raspberries are showing the music world once again why they are still championed as among the most influential bands in rock-n-roll history. They said it would never happen. They were wrong. 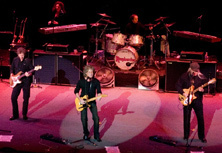 Jim Bonfanti, Wally Bryson, Eric Carmen & Dave Smalley—the original Raspberries—last performed together on stage over 30 years ago. Now, they are reunited to “Go All The Way” again. ►Order Raspberries TONIGHT! and join them during rehearsals, on stage and backstage as they mount a comeback that defies the odds! It's the ultimate souvenir of an historic once-in-a-lifetime reunion! Join us on MySpace Music!